The question of how Donald Trump won the 2016 election looms over his presidency. In particular, were the 78,000 voters who gave him an Electoral College victory affected by the Russian trolls and hackers? Trump has denied it. So too has Vladimir Putin. Others cast the answer as unknowable. 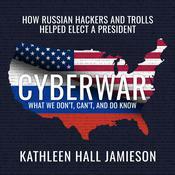 Drawing on path-breaking work in which she and her colleagues isolated significant communication effects in the 2000 and 2008 presidential campaigns, the eminent political communication scholar Kathleen Hall Jamieson marshals the troll posts, unique polling data, analyses of how the press used the hacked content, and a synthesis of half a century of media effects research to argue that, although not certain, it is probable that the Russians helped elect the 45th president of the United States. 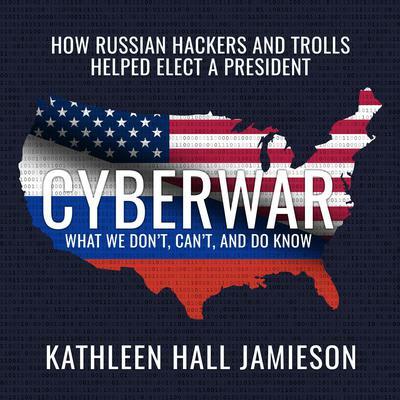 In the process, Cyberwar tackles questions that include: How extensive was the troll messaging? What characteristics of the social media platforms did the Russians exploit? Why did the mainstream press rush the hacked content into the citizenry's newsfeeds? Was Clinton telling the truth when she alleged that the debate moderators distorted what she said in the leaked speeches? Did the Russian influence extend beyond social media and news to alter the behavior of FBI director James Comey? Kathleen Hall Jamieson is Elizabeth Ware Packard Professor at Annenberg School for Communication of the University of Pennsylvania and director of its Annenberg Public Policy Center. She is the author of several widely acclaimed books on American politics and is herself a frequent media commentator on CBS News, Weekend Edition, and CNN’s Inside Politics. She lives in Philadelphia.